Jon Embree is in his second season as the 49ers assistant head coach/tight ends coach. Last season, the 49ers tight ends combined for 66 receptions for 866 yards and six touchdowns. Rookie TE George Kittle led the tight end group with 43 receptions for 515 yards and two touchdowns. His 515 receiving yards ranked second in the NFL among rookie tight ends and were the most by a 49ers rookie tight end since the merger in 1970. Additionally, TE Garrett Celek set a new single-season career high with four touchdown receptions. In 2016 with Tampa Bay, Embree helped TE Cameron Brate establish career highs in three major categories with 57 receptions for 660 yards and eight touchdowns, which tied for the most in the NFL. Combined with one touchdown each from TE Austin Seferian-Jenkins, TE Brandon Myers and TE Alan Cross, Buccaneers tight ends caught 11 touchdowns, the most for the team since 1985, when Tampa Bay tight ends combined for 13 touchdown receptions. In 2015, Seferian-Jenkins was limited to seven games, but still improved his receiving numbers from his rookie season, recording 21 receptions for 338 yards and four touchdowns. Seferian-Jenkins’ 16.1 receiving average was the second-highest of any tight end in the NFL (New England TE Rob Gronkowski – 16.3 yards per reception) with at least 20 receptions. Embree also oversaw the development of Brate in his first year, who started the season on the team’s practice squad but finished the year with 23 receptions for 288 yards and three touchdowns. In 2014, Embree worked with Seferian-Jenkins who recorded 21 receptions for 221 yards and two touchdowns in nine games. His reception total and receiving yards were the fourth-most ever by a Buccaneers rookie tight end, while his two touchdown receptions tied for the third-most. Prior to Tampa Bay, Embree spent the 2013 season as the tight ends coach with Cleveland Browns. With Embree’s guidance, TE Jordan Cameron earned a Pro Bowl berth and ranked second in the NFL in receiving yards (917) by a tight end behind New Orleans TE Jimmy Graham (1,215) and third in receptions (80) by a tight end behind Graham (86) and Atlanta Falcons TE Tony Gonzalez (80). Embree joined the Buccaneers after spending two years (2011-12) as head coach at the University of Colorado and one season (2010) as the tight ends coach for the Washington Redskins. That season, TE Chris Cooley ranked second in the NFL in receptions (77) by a tight end behind Dallas Cowboys TE Jason Witten (94) and third in receiving yards (849) by a tight end behind Witten (1,002) and San Francisco 49ers TE Vernon Davis (914). Embree first entered the NFL coaching ranks in 2006, where he spent three seasons (2006-08) as the tight ends coach for the Kansas City Chiefs. In 2008, TE Tony Gonzalez paced all NFL tight ends with 96 receptions for 1,058 yards and 10 touchdowns. In 2007, Gonzalez led all tight ends with 99 receptions for 1,172 yards while adding 5 touchdowns. In 2006, Gonzalez ranked second among all tight ends in both receptions (73) and receiving yards (900) . Gonzalez was named to the Pro Bowl and All-Pro in each of his three seasons working with Embree. Prior to joining the NFL, Embree spent 13 years at the collegiate level, including three seasons at UCLA, where he served as assistant head coach/wide receivers (2003) and assistant head coach/tight ends (2004-05). From 1993 to 2002, Embree was at the University of Colorado where he spent 10 years serving in a variety of roles.  He was the tight ends coach for two seasons (1993-94) before moving to defensive ends coach for four years (1995-98). Embree returned to his role as tight ends coach for two years in 1999 before spending two seasons as the wide receivers/kickers coach (2001-02). Embree began his coaching career at Colorado as a volunteer assistant coach in 1991 before spending one year as the receivers/tight ends coach at Douglas County (CO) High School. Originally a 6th round pick (166th overall) of the Los Angeles Rams in 1987, Embree appeared in 13 games over two seasons with LA before suffering a career-ending elbow injury in 1989 while with the Seattle Seahawks. A native of Englewood, CA, Embree lettered four seasons (1983-86) as a tight end at the University of Colorado and ended his career in the top five in both career receptions (80) and yards (1,116) along with five touchdowns. He graduated with a degree in communications in 1987. Embree and his wife, Natalyn, have three children: two sons, Taylor and Connor, and one daughter, Hannah.